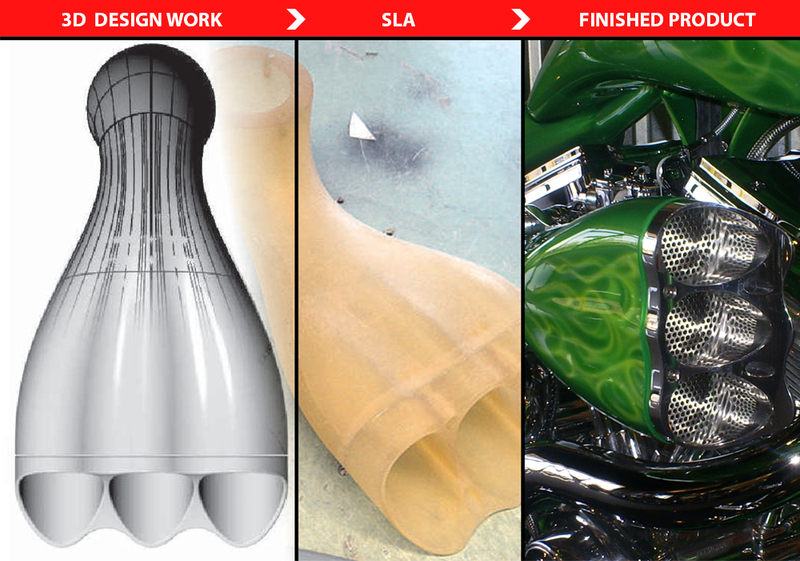 The intake manifold market for exotic motorcycles is a very competitive one where styling and functionality are front and center to its enthusiasts. Only a handful of large manufacturers historically have offered these complex products given their significant barriers of entry (i.e. tooling costs) to manufacture such products. With 3DE, its uniquely integrated prototype/traditional manufacturing pathway supports rapid short run part fabrication for even the most complex components that can easily stay within a cost justified budget!